Take advantage of our great discount offers and book all your tours with us. 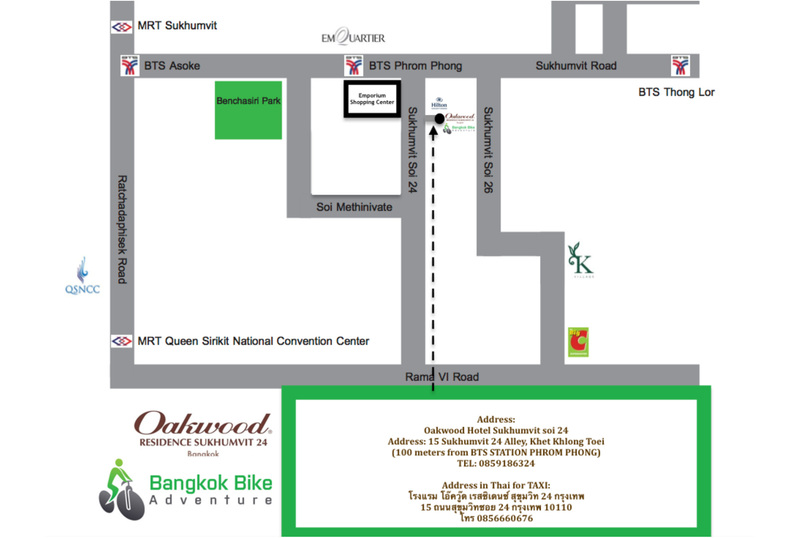 We offer both bike tours and standard sightseeing tours in Bangkok and Chiang Mai. If you want to book more than one tour, please book them one by one. Find your preferred tours and press send booking. We will get back you shortly with reply to your email, about status and details for your reservation. We don’t charge anything when you make your booking for our bike tours. You can pay before you meet up for your tour on the actual tour date. If you cancel your tour 48 hours before tour date, we give you a full refund direct to your credit card. We strive to confirm all tours and bookings. Please do give us a call if you have any late inquiries, if your booking is made within 12 hours before tour start. Pick up for the bike tours? For all our bike tours, you need to get to the tours meeting point by your selves. If you wish for us to arrange your transfer, we are happy to arrange this for a fee of 450 THB / way (Bangkok central hotels) – Please request this minimum 48 hours in advance making a remark / note in the bottom of the tour booking form. 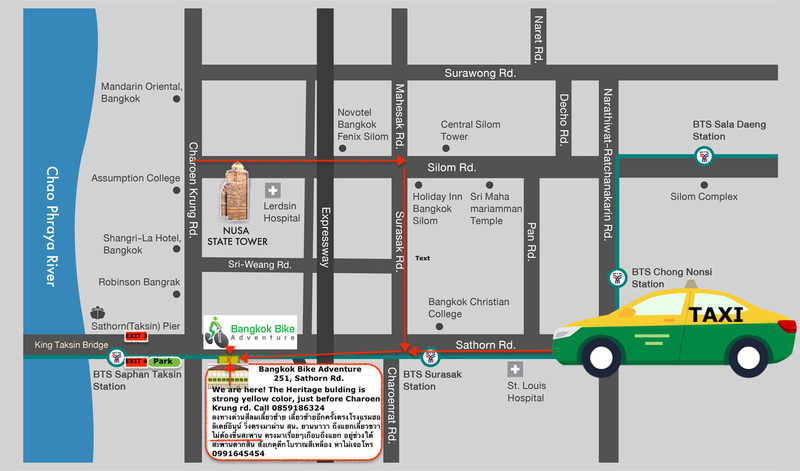 For our standard sightseeing tours, we will pick you up at your hotel in Bangkok as inclusion of the tour. We only do small group tours. For private group tours, we can arrange bigger groups. Children is very welcome on our bike tours. If the child is under 12 years old, we arrange a private tour for you at no extra cost. We have children bikes and child seats to equip on adult / parents bike bike if needed. Helmets is always provided, as well we take care of your safety at all times. All our bikes are well maintained mountain bikes and city bicycles from brand names Trek, Scott and Merida. Where is the Starting and Ending Point for the bike tours? Depending on which tour you have booked, you need to go to the office where your tour will start - Tours always end the same place as starting point.